After decades of investing in blighted communities across the country, Local Initiatives Support Corp. (LISC) knows that healthy neighborhoods rest as much on whether residents can earn a decent wage and build financial security as they do on good housing, strong schools and vibrant businesses. 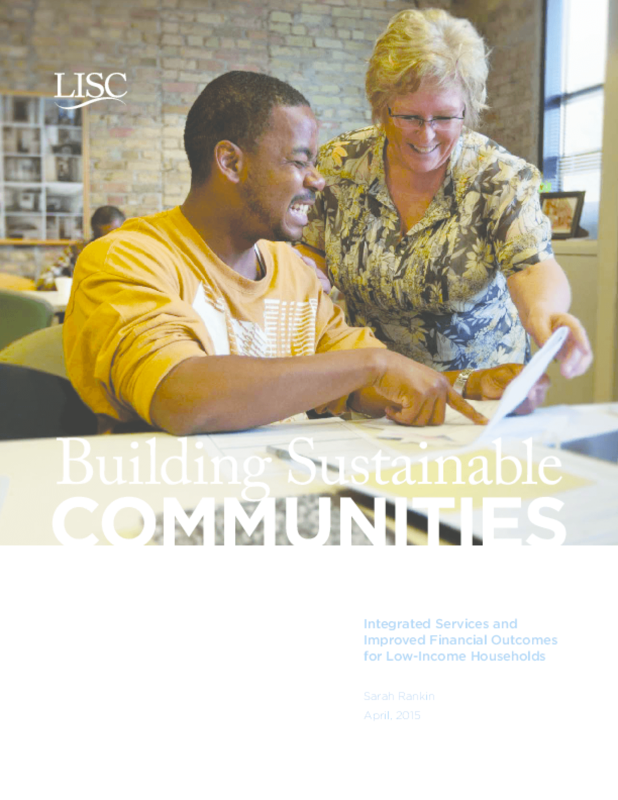 As part of our comprehensive strategy, LISC is tackling this pressing need through an expansive network of Financial Opportunity Centers (FOCs) in dozens of communities nationwide. FOCs help clients find and maintain good jobs, stick to realistic budgets, improve their credit and save for the future. And they are located in the same neighborhoods where LISC is investing in housing and health, reducing crime, strengthening schools and re-energizing commercial corridors. The research shows a direct relationship between the number and type of services accessed and the FOC clients' ability to grow their earnings and secure their finances. For instance, those who spent the most time on all three bundled services offered by the FOCs (employment, coaching and public benefits) had the highest job placement rates and the highest job retention rates -- a 74 percent placement rate and a 78 percent six-month retention rate. Clients who received both financial counseling and employment services had net income increases that were 89 percent higher than those receiving only financial or income support counseling. * 76 percent of clients increased their net income. * More than half increased their net worth. * 60 percent either increased their credit score or acquired a credit score. * 58 percent of those who started with zero or negative net income moved to positive net income. Copyright 2015 Local Initiatives Support Corp (LISC).